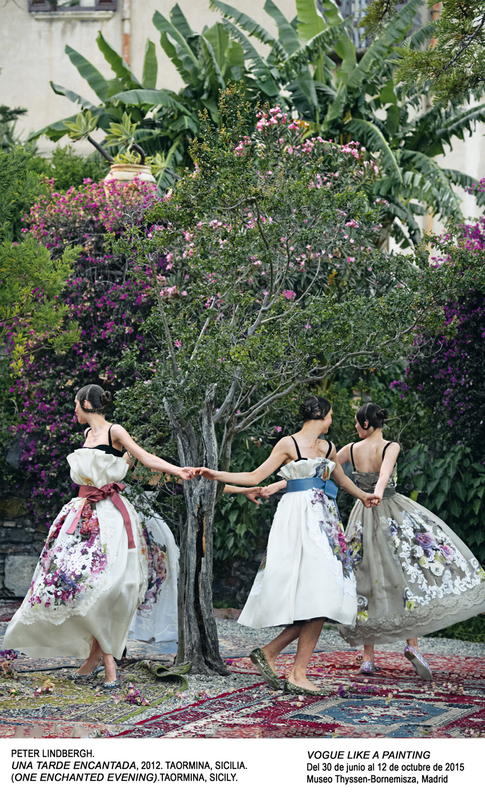 The general question about the relation between art and fashion never gets old it seems. There is always some new aspect you can explore or discover. 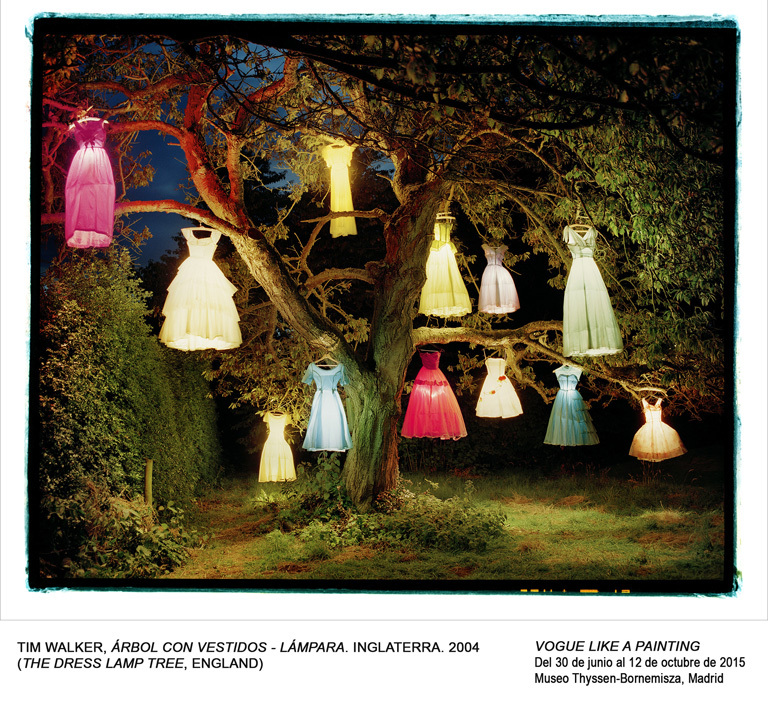 For anybody interested in photography or fashion I recommend the new exhibition “Vogue. Like A Painting” at Museo Thyssen Bornemisza in Madrid, Spain. European painting from its origins in the 13th century to the late 20th century. 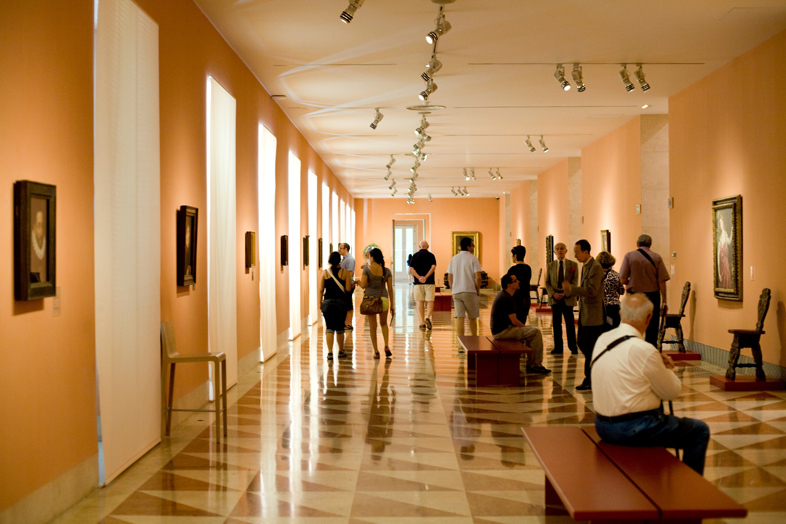 Through a chronological arrangement, the visitor can follow the most important trends and movements in paintings starting with the Italian Primitives led by Duccio and concluding with late Surrealism and the development of the Pop aesthetic in the 1960s as well as work by painters who have continued the figurative tradition up to the present day. Walking around the museum you can find all the great names of early and late art history such as Van Eyck, Dürer, Caravaggio, Rubens, Van Gogh, Gauguin, Kirchner, Mondrian, Klee and Rauschenberg. And that’s just the permanent collection. The exhibition “Vogue. 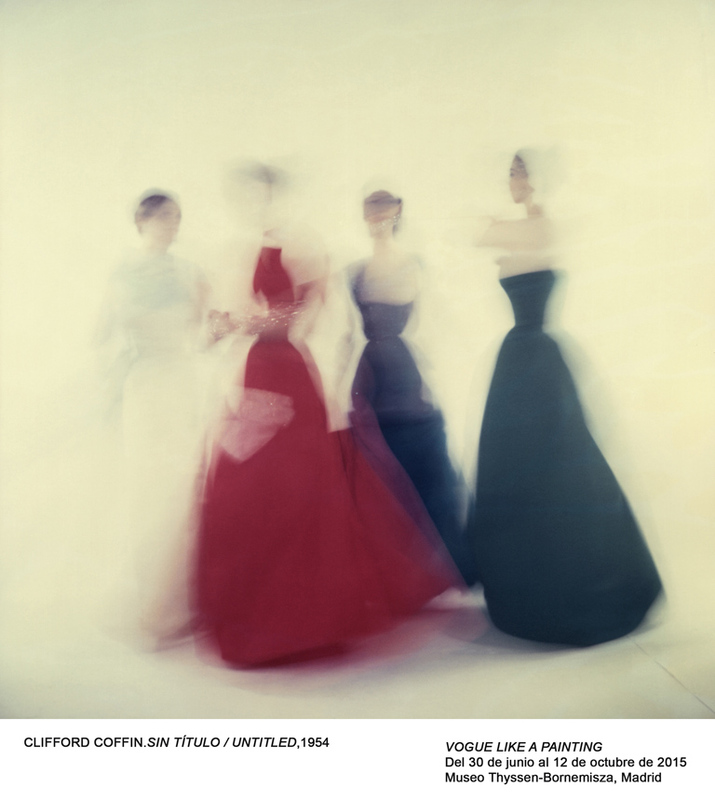 Like A Painting” is about fashion photography and shows a selection of pictures from the archives of Vogue magazine taken by some of the leading names in photography of the past three decades. Some make use of sculptural relief, while in others the light acquires a painterly quality. 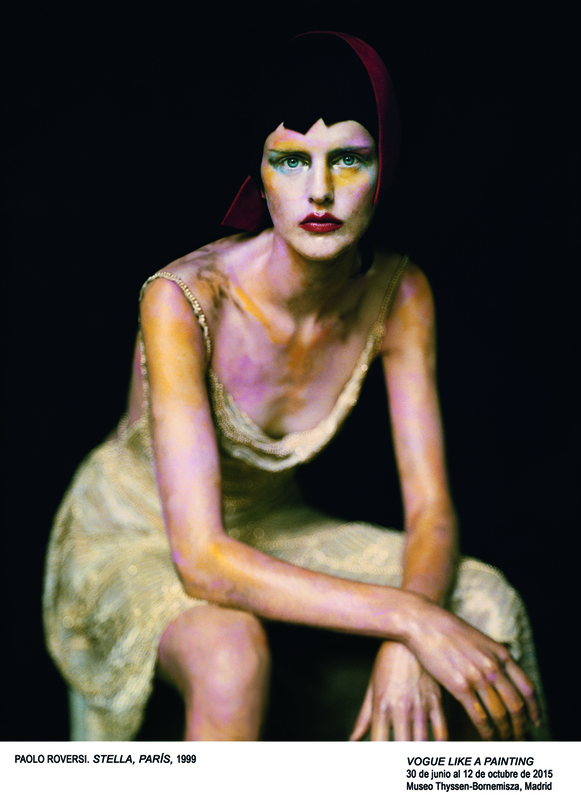 There are examples of photographs inspired by the Renaissance and Rococo. If you’re an art lover like me you will be reminded of great artists like Vermeer, Van Eyck, Botticelli, Zurbarán, Degas, Dalí or Magritte. Some of the shown pictures imitate specific genres, for example British 18th-century group portraits, which are symbolically narrative. 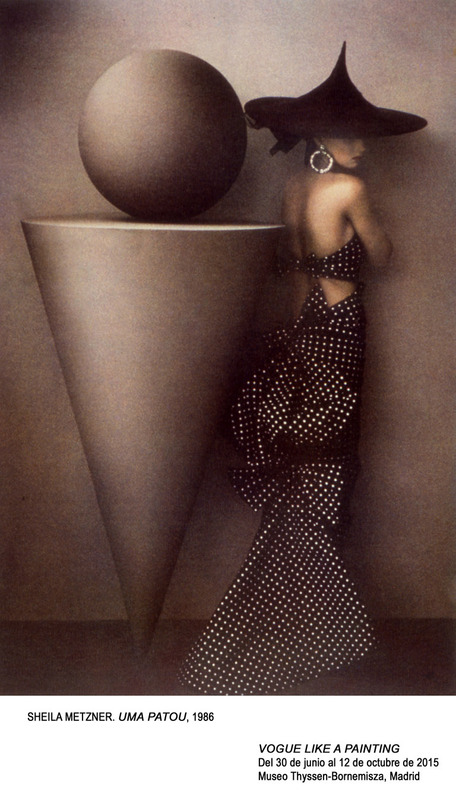 There are also direct references to iconic works in the history of art such as Erwin Blumenfeld’s Girl with the pearl Earring, which is a version of Vermeer’s celebrated painting of that title, Grant Cornett’s still lifes and Pieter Lindbergh’s shots, the latter inspired by paintings by Paul Gauguin.